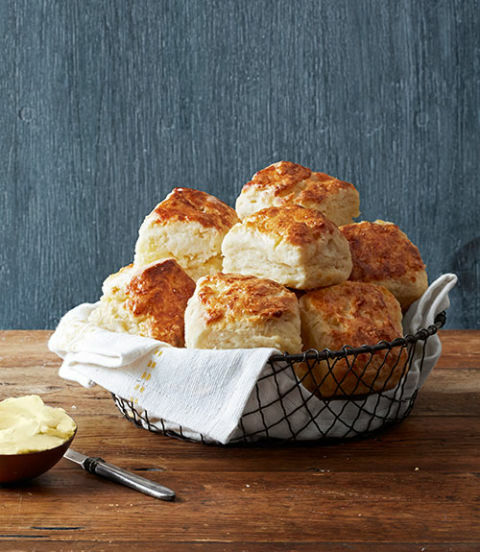 Tender, buttery, fluffy biscuits! They have the best flavor and they're easy to make!... Preheat oven to 500 degrees F, with a rack set in the middle. Meanwhile, in a large bowl, combine 2 cups flour, butter pieces, and cream cheese, using your fingers to cut in the butter and cream cheese until the mixture resembles cottage cheese. The biscuits we learned to make in the fundamentals class are among the honored items, and I didn’t know it, but was making the folded layers because that’s just how I mix stuff in. Since the time I worked that lesson, I always made them a little thicker, and OH MY how wonderful they are!!! Thanks for sharing the buttermilk version!